Hip Baby Blog: Oldies but goodies! In 1853, Aigle revolutionised the world of footwear by using rubber as its core material for boot manufacture. Boots continue to be made by hand at Ingrandes, France near Chatellerault. These boots are a timeless classic! 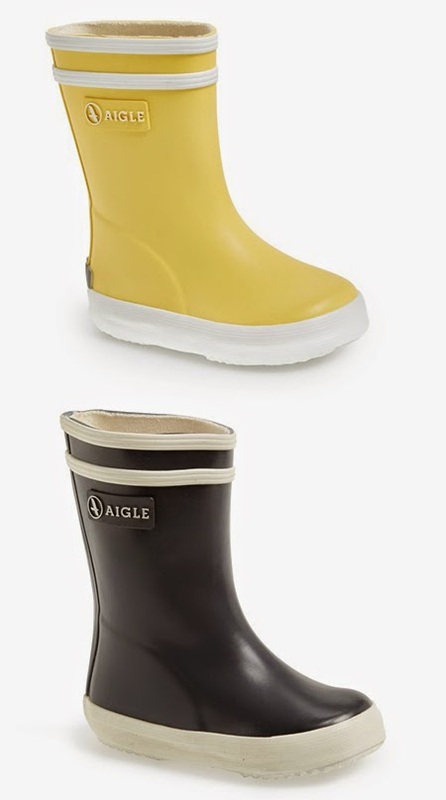 The Baby Flac is a kids boot from Aigle made with high-quality natural varnished rubber, jersey cotton lining, removable/washable insole and anti-slip sole. The cut is specially shaped for toddlers. Perfect for jumping in puddles!